The living room is generally the place where we spend most of our time, and in a lot of cases, it’s the room we take the most pride in. 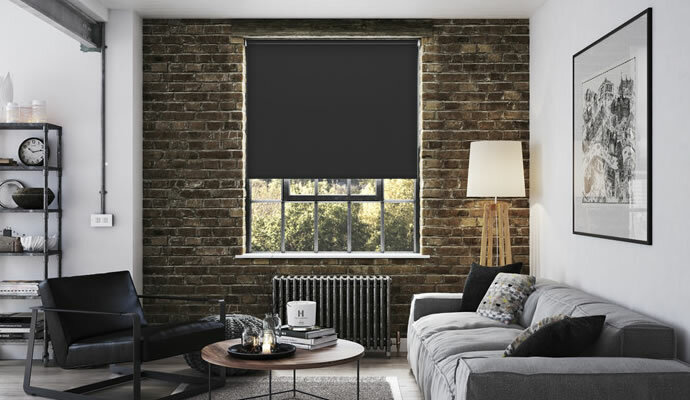 So, if you’re looking for some living room blinds to add that final touch to your space, check out our vast range of blinds which come in a variety of different styles. 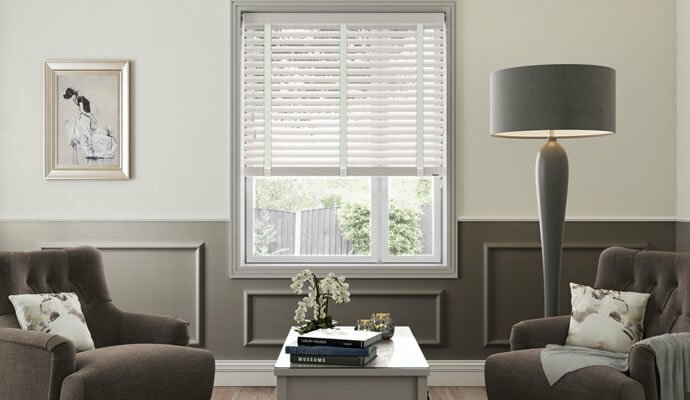 Whether it’s elegant plantation shutters or patterned roller blinds you’re looking for, you can be sure to find the ideal blinds for your living room windows. We offer a variety of living room window blinds in wooden and faux-wood materials that will add style and sophistication to your living space. Choose from our collection to ensure your windows look as elegant as the rest of your living room. While it’s lovely to look out of your window during the day, sometimes it’s nice to shut off the rest of the world and relax in the privacy of your own home. The best blinds for privacy are blackout blinds which shut out any unwanted light from outside. While it’s great to have some privacy, at times you’ll also want to enjoy the natural sunlight. Plantation shutters allow you to close the bottom tier for privacy while keeping the top tier open keep the natural light flowing in. 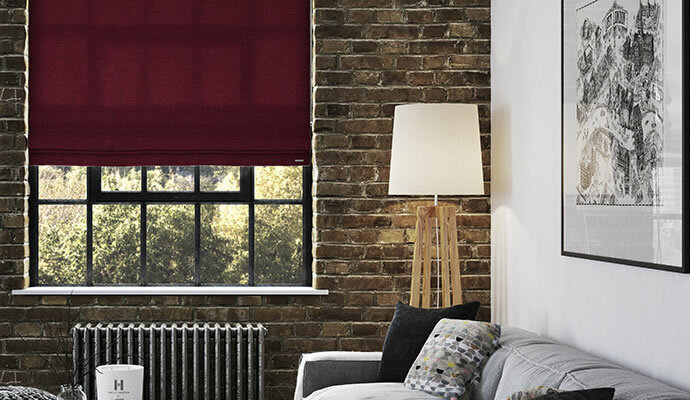 We offer our blinds in a huge selection of colours and patterns, so why not brighten up your living space with one of our patterned Roman blinds? With so many available there’s sure to be one that compliments your living room. 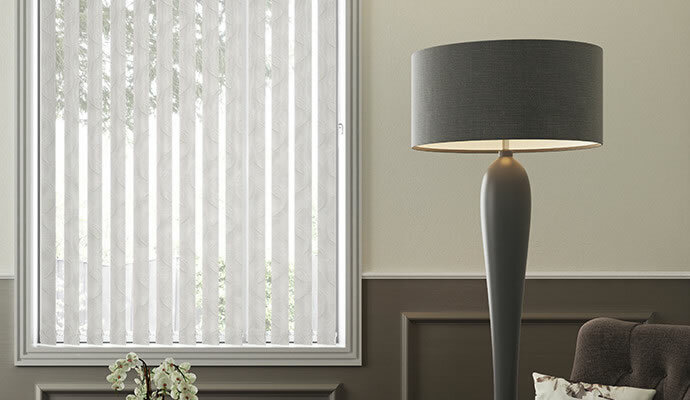 Vertical blinds are some of the most practical blinds on the market. They allow you to easily filter the amount of light in the room while helping to control temperature and privacy. 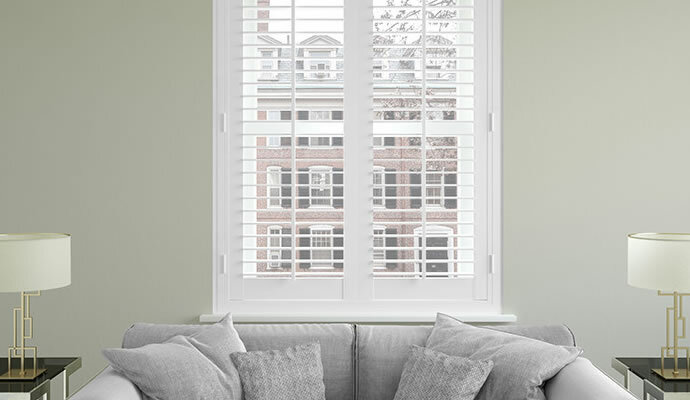 Our collection comes in a number of different colours so you’re bound to find the perfect blinds for your living room.